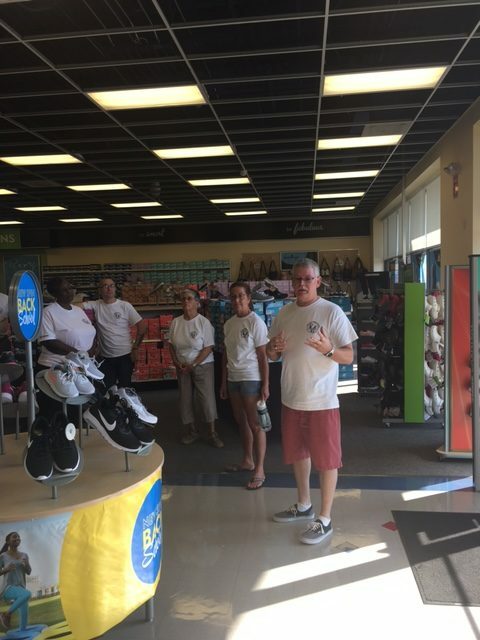 Daytona Beach, FL – While many were on their way to enjoy the sun and sand in Daytona Beach on a beautiful Saturday morning, union members and their families from across Volusia County assembled to ensure the kids from the Florida United Methodist Children’s Home had new shoes and socks to start the school year with. 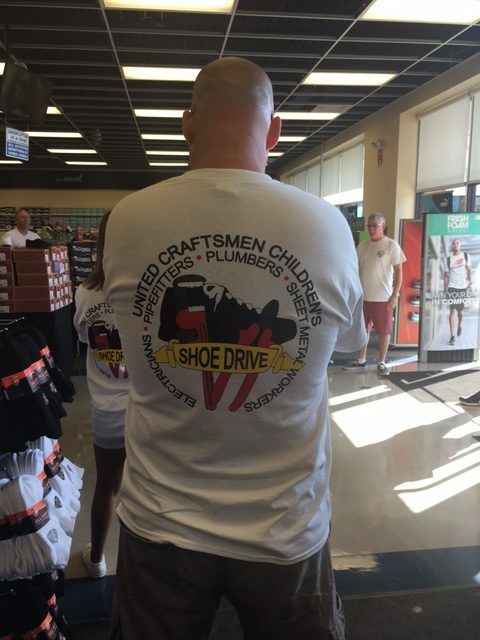 The event, held on Saturday, July 29th at the Shoe Carnival on International Speedway Blvd, was the first time this charity has expanded in Florida and was coordinated by the United Association of Plumbers & Pipefitters Local Union 295 and the United Craftsmen Children’s Shoe Drive, Inc., a children’s charity organization. 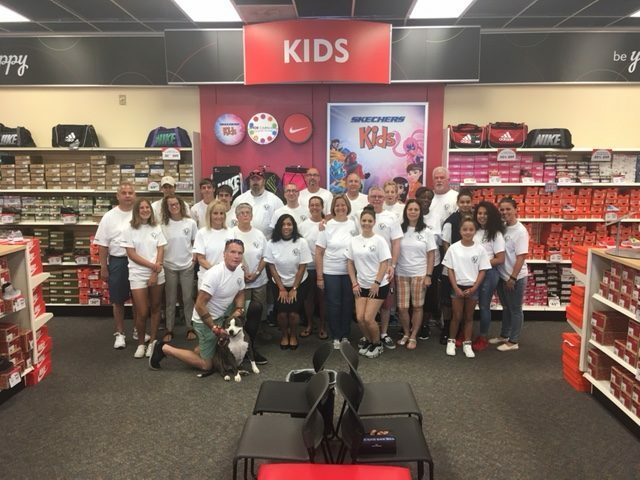 The United Craftsmen Children’s Shoe Drive, Inc. officially took off the ground in 2009 and “has devoted its energy to passionately advocating for children who by no fault of their own live in Children’s Homes and Foster Care.” Founder and Journeyman Plumber Tracy Allen Newsome, having grown up in a “tough situation,” understood that there are many children who often end up wearing hand-me-down shoes that are worn out and often way too small or too big. 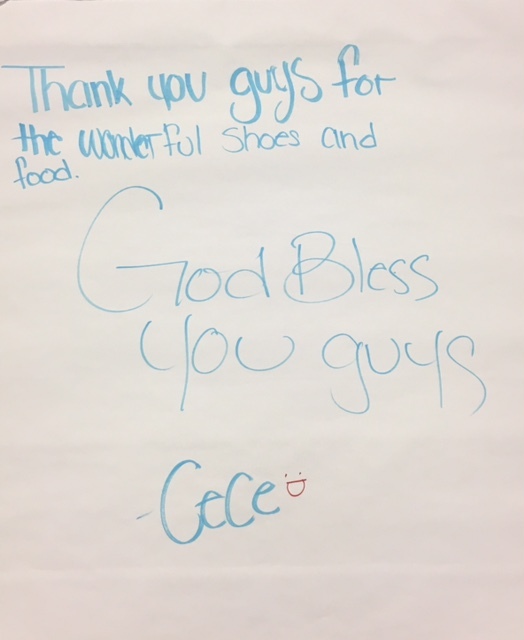 Tracy began collecting for a local shoe drive in the Atlanta, GA area in 2005. Tragically, Tracy was killed in a car accident in 2009 on his way home from work at Atlanta Hartsfield Jackson International Airport. 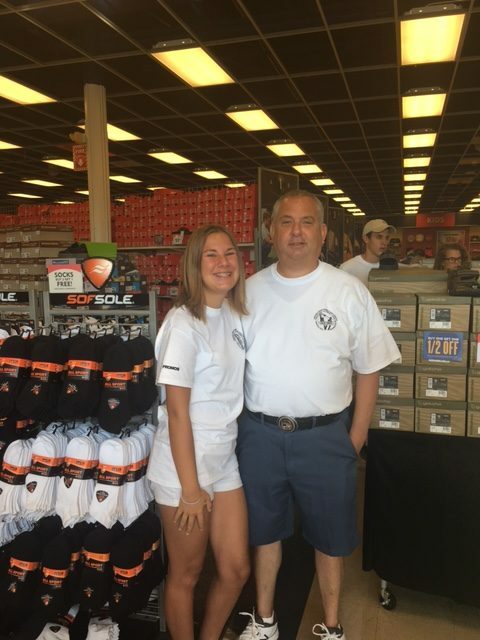 After his union co-workers raised $3000 to help his family in their time of need, Tracy’s widow reached out to Bob Carpenter of UA Local 72 to carry on Tracy’s passion for helping children and so began the The United Craftsmen Children’s Shoe Drive (UCCSD). Volunteers from other local unions included members from UAW 2278, IBEW 756, AFT 1605, OPEIU 4873, LIUNA 517, CSEA Retired, Iron Workers 808 and the Volusia/Flagler AFL-CIO. 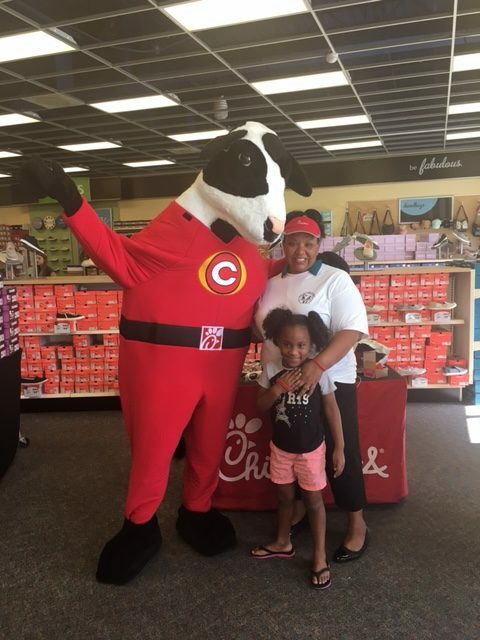 The United Craftsmen Children’s Shoe Drive in Daytona Beach concluded with 67 children getting new shoes (many able to get multiple pairs), socks and a Chick-Fil-A lunch. The organizers and volunteers look forward to growing the event in Daytona Beach and expanding to other cities across Florida. If you would like to donate to this amazing cause, click on this link.